Toshiba C50D 15.6" Windows 8.1 Laptop AMD E1-6010 Dual Core 16GB RAM 500 GB HDD. Buy Toshiba C50D on Cheapest Price. Toshiba C50D, the laptop most suitable for your everyday computing tasks. It comes with 15.6 cm HD widescreen display and DTS Sound audio enhancement entertaining you at level best. It handles various functionalities such as web browsing, social networking, photo management very efficiently. Above all, it comes with a very affordable price tag. 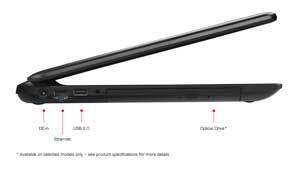 Toshiba C50D packs great features in a sleek and slim body. Its trendy design with textured matt finish gives it an elegant look whereas the large touchpad and tiled keyboard with keycap design adds in the grace and comfort. 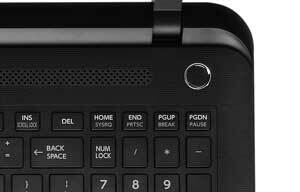 It features an alphanumeric keypad which makes work on applications like spreadsheets much easier. 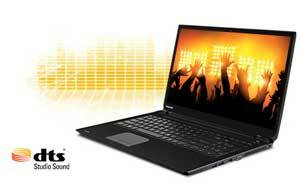 Toshiba C50D comes with the choice of AMD and Intel processors to give you an experience you always wished for. These powerful processors give you fast speed and amazing performance form boot up to shut down. Pre-loaded with a spacious HDD of up to 1TB and gives all the space you need to store your files. DTS Sound enhance your audio and lets you enjoy crystal clear sound. From bass to pitch, every nuance and every beat is heard clearly. DTS sound includes a sound-enrichment suite that boosts volume, enhances bass and improves definition. Enjoy immersive audio complete with deep, rich bass and crystal clear dialogue. Coming with Windows 8.1, it surely gives you the convenience of putting what matter right on your start screen. Increase your work efficiency by catching up with people, apps, sites and much more instantly. The intuitive, fast, and fluid design of Windows 8 is ideal for Toshiba laptops, thin and light Ultrabooks, convertible touch-screen Ultrabooks and all-in-one PCs. 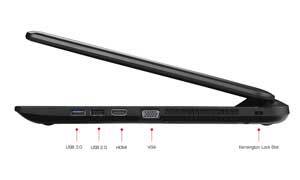 Integrated with HDMI port, C50D is fully eligible for providing you with the option of connecting your laptop to any external device. Watch movies, give presentations and read content on bigger screens. Added to your convenience, using HDMI, audio and visual content are streamed through a single cable, removing the need for multiple connections. 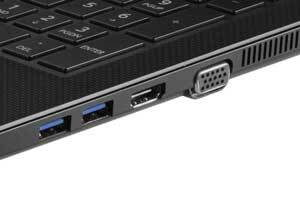 Data transfer is made easier with three USB ports featured in Toshiba C50. One among these ports in for USB 3.0 which gives you ten times faster data transfer rate than USB 2.0 Enjoy wireless sharing with Bluetooth 4.0. Take most out of your video calls with its integrated HD webcam. With HD webcam, your friends will be able to see you in clear picture. The camera and microphone lets you enjoy smooth video chat with your friends and family.